Tanner Lenart has two words to describe Utah's alcohol laws: "in flux." The self-described "liquor lawyer," an attorney for the firm Christensen & Jensen, says there's often confusion among restaurateurs, bartenders and patrons about the laws passed during Utah's short 45-day annual legislative session, when those laws go into effect—generally a few months later—and what laws are actually on the books, given they can change from year to year. "Changes—that's why I have a job: a lot of people are confused about what's going on," Lenart says, sitting at a downtown coffee shop. Then there's the perception that "we're a little bit backwards when it comes to liquor laws," in the words of the Salt Lake Area Restaurant Association's executive director Michele Corigliano. Lenart moved to Salt Lake City in 2007 and started law school at the University of Utah the following year, when prospective patrons still had to fill out applications and buy memberships in order to get into bars. "It's all relative," Lenart says of how the state's alcohol laws have changed since she started practicing. 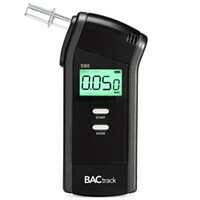 Speaking as a "social drinker who likes to drink local," Lenart says there are more manufacturers and craft cocktail bars now, and less underage drinking, but then there's the impending DUI law that'll lower Utah's allowed blood alcohol concentration to .05, the lowest threshold in the country. "I'm against distracted drivers, but I think there's so many different ways we can allocate our resources," she says, suggesting lawmakers look at distractions like texting while driving. "I'm just baffled by some of the things," Lenart says. Take 2017's falling of the Zion Curtain—partitions that restaurants had to put up so patrons wouldn't see their drinks being made, shielding impressionable children's eyes from the horrors of mixology—and the compromise of the Zion DMZ, where minors are prohibited from sitting within a certain space from a restaurant's bar area. "I just don't understand. No one has been able to explain to me, why 10 feet? Like, what does that do? What is it about having a child sit this close, and not this [far,]" Lenart says, trailing off. "There's some things, I'm at a loss, and I don't understand." 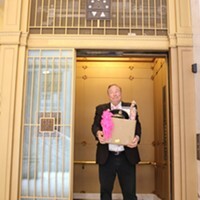 Still, curtains, moats, head-scratcher sign requirements and the rest of the lot are what keep her and a handful of other liquor law specialists in business in this Mormon-centric state. Before becoming a licensed attorney, Lenart tended bar in New Zealand and England, paving the way for her future law career. 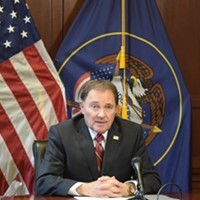 That experience helps her interpret bar owners' concerns to legislators and commissioners for the Utah Department of Alcoholic Beverage Control, some of whom don't drink. "I like being able to sort of speak the same language as my clients and understand what's going on," she says. "It's been a long time, but I've been on that side of the counter." 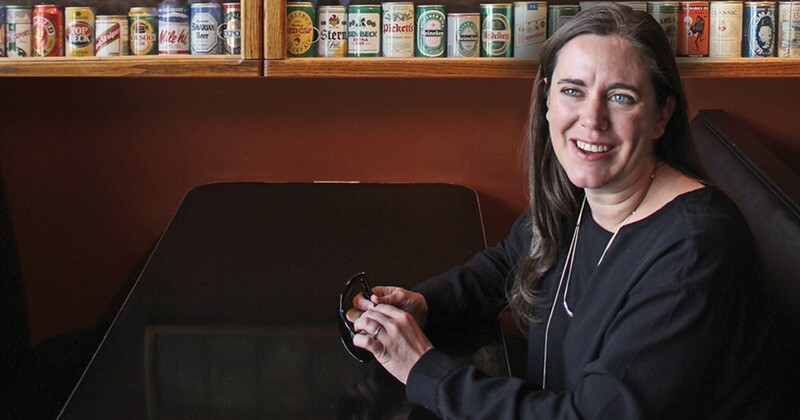 "I'm trying to educate clients, I'm trying to educate people who are trying to come in [to do business in Utah], I'm also sometimes educating policy stakeholders, people who don't drink, maybe, but have great influence on the laws," she says about interpreting often-dated statutes for thirsty Utahns who just want a few beers with their meals. "I don't want to sound condescending at all." Not initially planning on specializing in liquor law after graduating from the U, Lenart had been working for another firm after law school that assigned her to help with the liquor applications for a franchise client planning to open locations in the Beehive State. "When you have a franchise client like that come into the state, they can't do the same things that they've done in all the other states that they've been in," she says about the homegrown hurdles. Enjoying the work, Lenart reached out to the franchise once she established herself at her current firm, and offered to keep working on their "liquor law side of the things." Later, Lenart lent her voice to local business owners, helping them with everything from liquor applications to violations to complying with advertising rules, among other options. "I like it because of the variety," she says of liquor lawyering. "At the end of the day, I'm helping people with their business, as opposed to a lot of the other legal work," like car wrecks and unforeseen tragedies she calls "sad." "I'm helping people get to places that I want to go to at the end of the day," she beams. Lenart says the perception of the state's liquor laws seem to have a "dampening effect" when she talks with clients at national conferences who are thinking about expanding into Utah. But then she explains how "otherwise business-friendly this state is," which often softens the blow. "I would put it at more of a speed bump than a roadblock," she says. Asked what she primarily would change in Utah's liquor laws if given a chance, Lenart says she'd "love to see some massive changes," like privatization of liquor sales. "That's the pie in the sky. Certainly not grounded in reality." Booze-soaked dreams aside, Lenart says she works collaboratively with industry members, DABC and its commissioners, not from a place of opposition. "I get a lot more work done working well with others," Lenart says. "Sometimes there's a bit of befuddlement, where I just don't understand some rationales. Because sometimes it comes back to feelings, which you can't always talk rationally about." That, she adds, can lead to "some tough legislation, which is, I think, why some of the laws are oddly worded at times." That befuddlement can go both ways, Lenart says, as when some people don't understand "why anybody would want to have a drink ever. I've heard that, not from legislators, but from other people in the legal community." Even so, she remains persistent. "You're forever rolling the rock up the hill," she says. 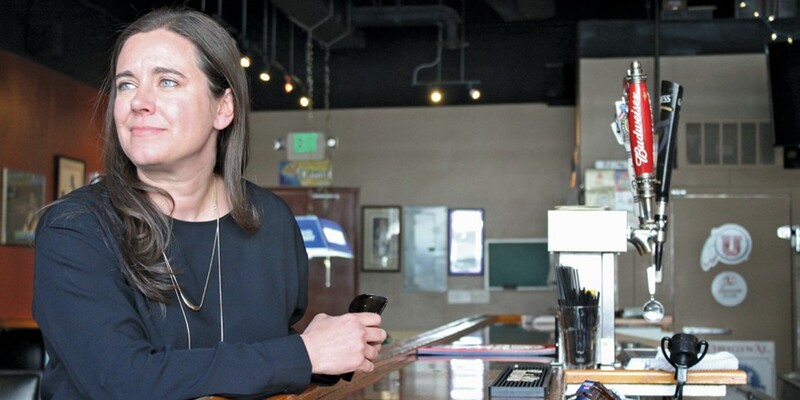 While she's early in her career, the 38-year-old says she hopes to eventually be known as the "Utah Liquor Lawyer," an "advocate for bars and restaurants" who "[helps] people get back to business." Lenart's Twitter feed is a source of free pointers for the state's restaurateurs, bar owners and patrons, offering snippets of information on licensing deadlines, placement of servers' ID badges and advertisement requirements. "Nothing specific for anybody," Lenart says. Except on April 5, when she asked restaurateurs to donate their dumbfounding paper signs labeling them bars or restaurants. That's because in March, Gov. 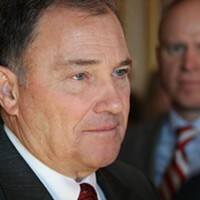 Gary Herbert signed House Bill 456, allowing restaurants to take down those signs on May 8. The pesky 8.5-by-11-inch signs are tough to miss: Locales have been required to display them for the past year in a "conspicuous place at the entrance to the licensed premises," per 2017's House Bill 442, designed to tell patrons how the business is licensed. Restaurateurs haven't been the signs' biggest fans. "They think it's absolutely absurd, which it is," says the restaurant association's Corigliano, expressing the views of the 847 licensed restaurants in Salt Lake County. "It was just dumb," Takashi's Tamara Gibo says. Establishments licensed as restaurants need to make sure 70 percent of their sales are food, but displaying a sign labeling an establishment as a restaurant doesn't mean that place doesn't serve booze. The jury is still out whether the notices have been effective. Esther Imotan, operating owner of Pallet, for example, says there have been at least four occasions where she's seen guests walk into her restaurant, glance at the sign, turn around and leave. "I could very clearly tell the sign confused them," she says. When she'd ask the guests why they'd left, they'd tell her they wanted to have drinks with their dinner. So, Imotan would have to explain: "We are a restaurant, primarily." She says dealing with the signs, and their accompanying confusion, has been burdensome. "Having to explain that can get a little exhausting and tedious, but we understand that is what we had to do," Imotan says. "We honestly could not be more excited [to take down the signs]. It'll be one less thing that we have to overly explain to people." Ryan Lowder, chef and owner of the Copper Kitchen, Copper Common and Copper Onion, is also happy the signs are coming down, since it's "ridiculous they were there in the first place." "It creates first impressions for a diner who walks in and goes, 'What does this mean?'" Lowder says, validating the feeling that Utah is "a strange place." "The signs did nothing but make us look stupid, as a market," Water Witch's Neves says. "It was a solution to a problem that didn't exist." 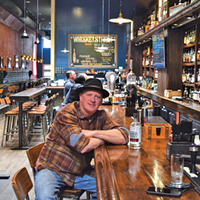 "I think everybody sort of understood what a bar was, except for the Legislature," he adds. Establishments licensed as bars can trash their signs, too, but have to switch them out for another that says the premise is a bar and no one under 21 is allowed. "We're totally fine with warnings about responsible consumption—things like that," Neves says. Bars must also have food available, but—unlike restaurants—don't have to make sure patrons consuming alcohol have an intent to dine. SLARA's Corigliano says she thinks restaurateurs could technically keep their signs up if they wanted, but she says she can "guarantee not one single person will." "I think people will burn them," she says. "Probably shred it," Gibo says. "Burn them. Throw them away," Lowder says, thinking of another option: "See how far it can fly." "Probably have a little burning séance," Imotan says. "The art piece sounds really fun and interesting, I just like to burn things." Which brings us back to Lenart's April 5th tweet. In it, she asked bars and restaurants to donate their signs for an art project she's working on with Adam Bateman, a Salt Lake City-based artist who has exhibited all over the world and who is a friend of Lenart's husband, Joshua, a professor at the U.
Bateman says he's interested in the project because he thinks the signs are "extremely unique visual objects that communicate a lot of depth of cultural meaning about what's going on in Utah." "I see a number of opportunities of the ways to display these things or present these things, but we have to acquire them first, and that's the first step: to acquire them authentically," he says. If he and Lenart can collect a good number of them, Bateman says, "they have the potential—through repetition—to become visually significant." But until they know how many signs they collect, he adds, it's "impossible" to know what the installation will look like. "Figuring out how many of these things we get will push in one direction or another," he says. Bateman calls the signs "cultural symbols," but he doesn't think what they represent is easily communicable. True to the "beauty is in the eye of the beholder" adage, the artist sees in the letter-size sheets "a lot more depth to it than simply the binary, adversarial relationship between the left and the right here in Utah." Bateman says the words on the signs represent the government's interest. But the treatment—the typeface, the placement—represents the restaurateurs', since they would have had them framed if they'd loved the signs. "They're sending a message to the government," he says. Caught in the middle, he adds, are the patrons, who go to the restaurants and have the "cultural experience" of seeing the smattering of these two interests. Of the service industry folk City Weekly interviewed for this story, only Neves says he is planning on donating his sign to Lenart's art project. The rest seemed intent on obliterating them, or at least throwing them away. "I hope instead of burning them, they'll participate in this project," Bateman says. "If [only] five people send us their things, it's probably not going to materialize." Still, he's sympathetic to the cathartic properties of destroying a physical source of frustration: Maybe they'll have a bonfire afterwards. "We can burn the art, and burn the signs," Bateman says. 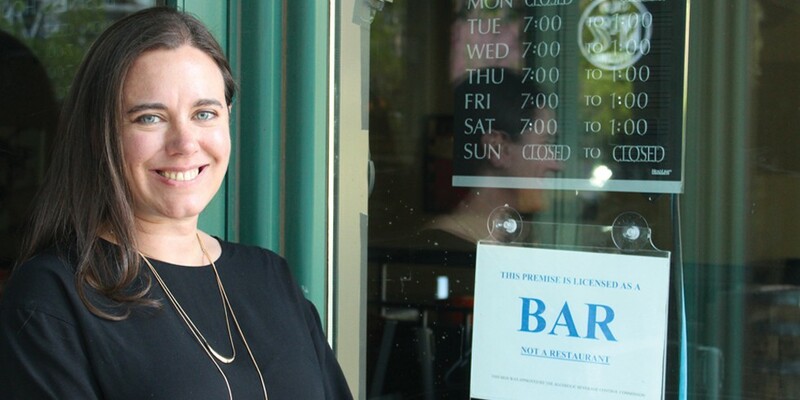 Restaurateurs and bar owners can't take down their signs until May 8, which means Lenart won't know for a while how many signs she and Bateman will get. She says she expects to ask around in a few weeks when she's out with members of her firm—"We're lawyers: we lunch," she says—but she figures it'll take a while. An exhibit at Nox Contemporary Gallery is planned for fall, giving Bateman and Lenart time to collect the signs and figure out the direction the artistic endeavor will take. "I know it's not going to happen in one day," Lenart says. Lenart's role in collecting the signs is similar to the liaison role she feels she occupies in her personal and professional lives: Not quite a member of the hospitality industry, not quite a politician or employee of a governmental agency, Lenart says she feels like she exists in this "kind of in-between place." 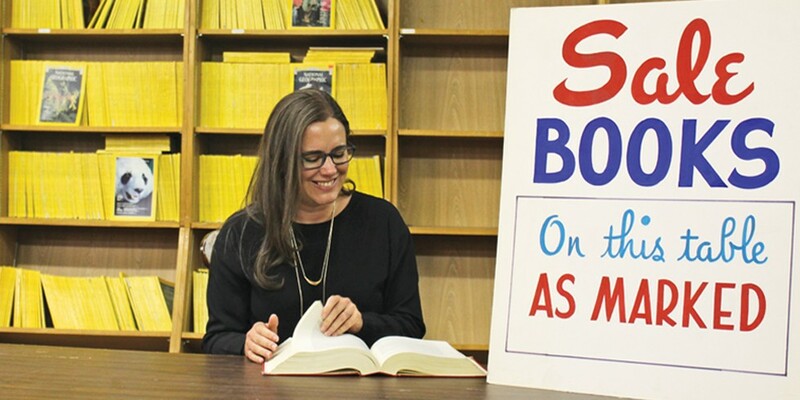 In the sign-collecting, similar to her day job, Lenart's role is to be aware of changes in law and explain it to members of the industry so they can comply. 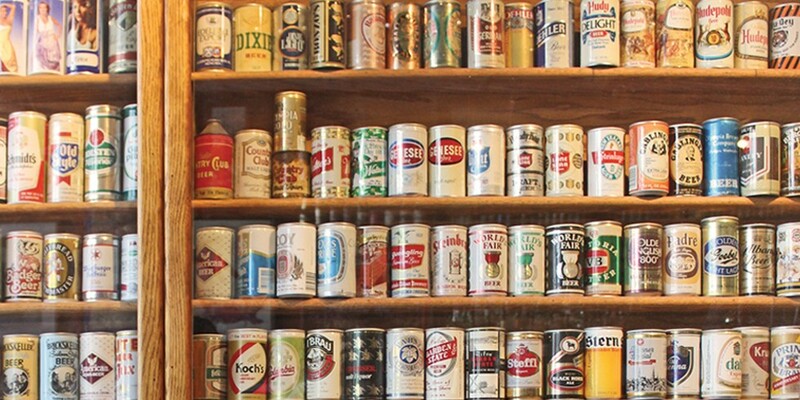 With the signs and the upcoming exhibition, Lenart and Bateman are taking on another responsibility: gathering cultural artifacts and analyzing what they might mean for the future of Utah's liquor laws. The signs were short-lived, Lenart says of the yearlong requirement, "so unreasonable it didn't seem to accomplish anything," referring specifically to lowering instances of underage drinking or drinking and driving, "two things everybody agrees should not happen." "My hope is that for other [more burdensome] laws that may be in effect for longer, maybe they're gonna be gone sometime," she says. "A visual will show, 'Hey, we do change.'" After being photographed by City Weekly on a Friday morning at downtown's Junior's Tavern, Lenart approaches owner and barkeep, Greg Arata, among the first of many bar owners and restaurateurs she'll talk to in the coming weeks, and asks him if she can have his sign after May 8. Sure, Arata tells her, he would have just thrown it out anyway. The sign wasn't as annoying to him as the membership passes were, so he's fine turning his over. Lenart passes Arata her card, telling him she's the sole liquor lawyer of the 26 in her firm. "I want you to never have to call me," she says. But, just in case he needs Lenart's expertise at some point in the future, Arata saves her card. "There's a lot of lawyers in this town, but only a few liquor lawyers," she tells him.